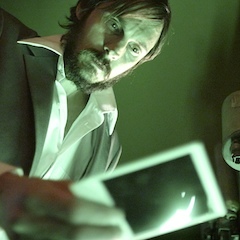 The Filmmuseum re-opens after its summer break with the horror film festival Land of the Dead. 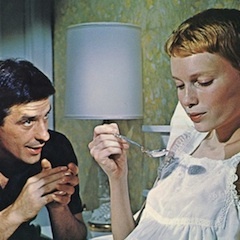 The film retrospective shows genre defining auteur movies from 1968 to the 1980ies like Roman Polanskis Rosemarys Baby , John Carpenters blue print of all zombie movies Living Dead , Brian de Palmas Carrie (1976), John Carpenters slasher classic Halloween (1978), or Stanley Kubricks The Shining (1980). Viennale boss Hans Hurch gave a first glance at the festival programm at his traditional summer press briefing. The 2014 edition of Austria's biggest film festival will feature a special focus on actor Viggo Mortensen, a John Ford retrospective and like always countless documentary and feature films like Time Lapse (Picture: (c) Viennale). 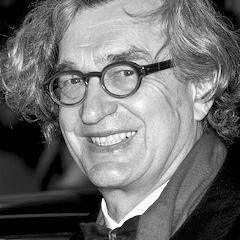 The Berlinale 2015 will award director Wim Wenders an Honorary Golden Bear for his lifetime achievement. The film festival also announced a big Homage to the work of the director. Auteur Wenders shaped movie history with classic arthouse films like PARIS, TEXAS or WINGS OF DESIRE and documentaries like BUENA VISTA SOCIAL CLUB .